Hiding deep in the Bradshaw Mountains sits the distinct populace of Crown King. It is located 28 miles off Interstate 17 on a dirt road that takes you through the tiny towns of Bumble Bee and Cleator. The settlement started as a gold mining town of Crowned King and in 1888 was condensed to Crown King. Around 6.5 miles southeast of the town you will find Horsethief Basin Lake. On July 1, 1875, Rod McKinnon filed the first gold claim in Crown King and called it “Buckeye”. For the next 40 years the town was rich with activity with an additional 15 mines or claims made. The town grew to 500 structures which encompassed stores, boarding houses, restaurants and a post office. By 1897, the town was enjoying the modern conveniences such as electricity and telephones. From 1904 to 1926, Crown King was the station stop for the mines by the Bradshaw Mountain Railroad. The Murphy’s Impossible Railroad ran between Cleator and Crown King. It was call that because of the treacherous topography between the two towns. It was built by Frank M. Murphy. After the mines dried up, in 1926 the railroad line was discarded and forsaken. Today, Crown King relies on tourist to keep the town going. The road to the settlement is rugged and harsh at times, but take it slow and you will be just fine. This small town has lots to see with several of the historic buildings still upright. In the hub of town rests the Crown King Saloon. It was first built in the neighboring mining town of Oro Belle, which is now a ghost town. It was taken apart in 1910, transported to Crown King, and reconstructed. 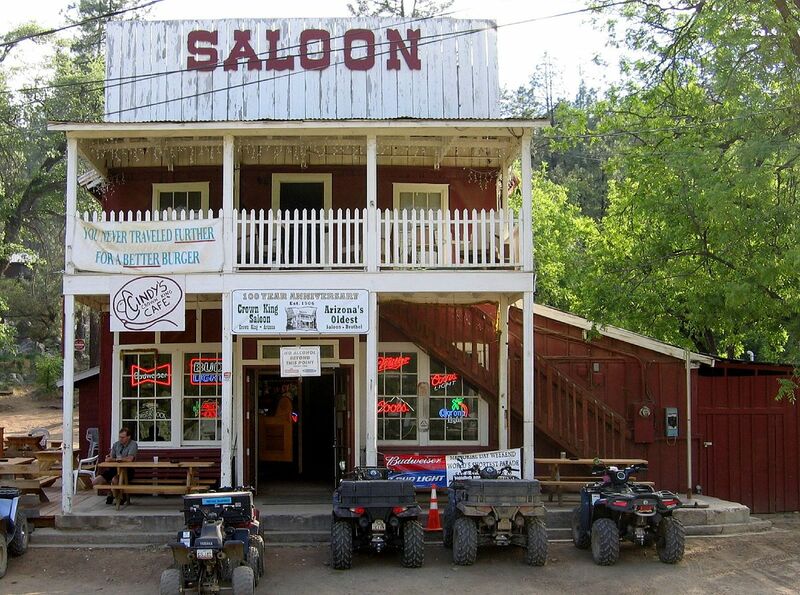 The saloon used to be a brothel and bar, but is now a hotel, café and bar. Also standing is the red one-room schoolhouse which was erected in 1917. Today, a diminutive group of kids, K-8, show up for classes there. To attend high school, they must travel 14 miles to Mayer. Another building you will find in town is the post office. It opened its doors on July 29, 1888 and stop receiving mail on May 15, 1954. Now it is the Crown King General Store. 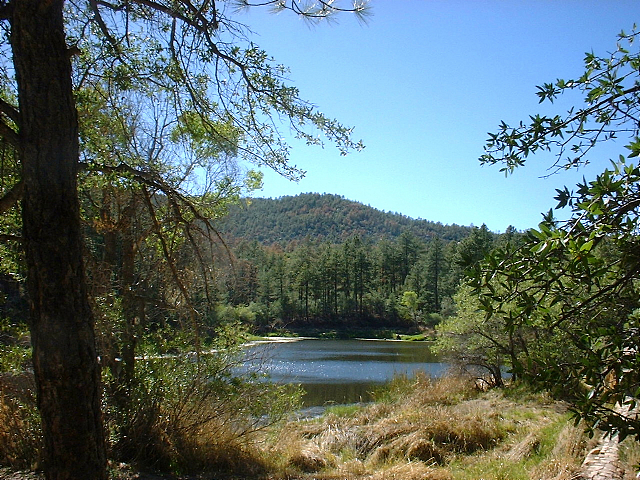 I have yet to visit Crown King, but it is on my list of Arizona towns to visit. I can’t wait to see and photograph the historic buildings. I also hear there might be ghosts roaming inside the walls of the old structures and the dusty streets of town. I'm amazed how many trees it has!